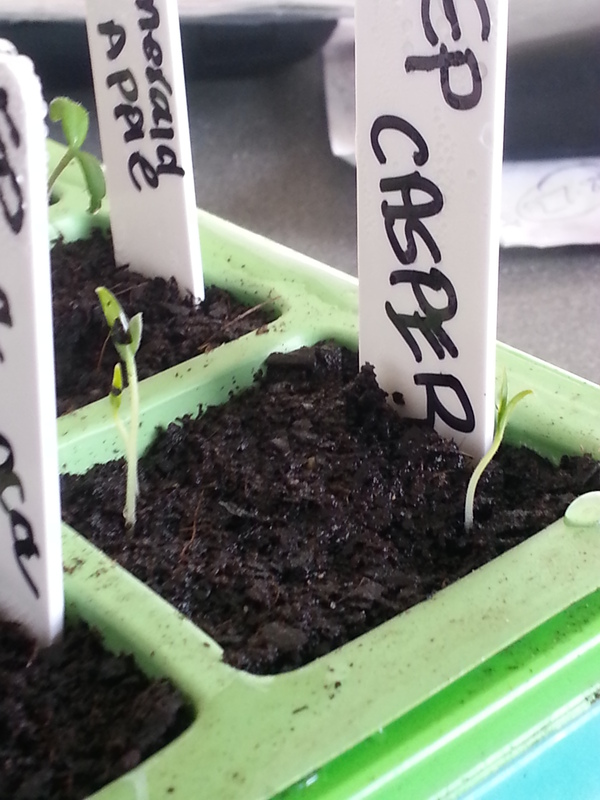 … but 24 hours later and they have emerged! The Rosa Bianca have not yet appeared but I’m hoping the will poke their heads out overnight while they are on the warming mat. 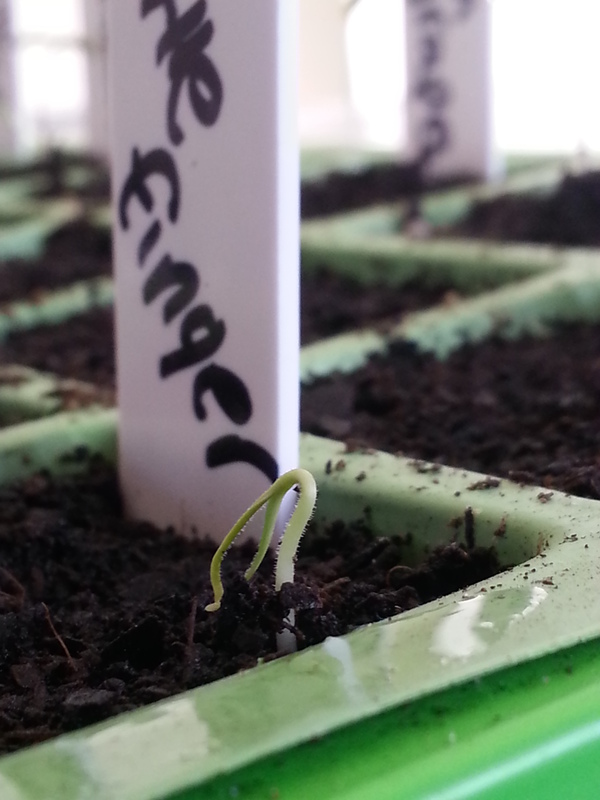 Now all varieties of tomato and eggplant have emerged. .. yay!